If you’re going to be traveling overseas or to the USA, your best bet is to have an unlocked GSM phone with you to avoid excessive roaming charges from Rogers/Fido. As I am currently in the United Arab Emirates (UAE) on a short hiatus, I’ve been traveling with my unlocked iPhone 2G. Here are some tips you might want to think about the next time you’re ready to embark on a journey with your iPhone. 1. 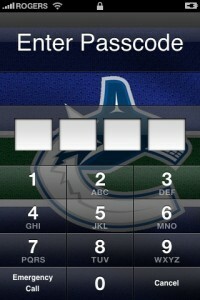 Set a passcode on your iPhone: I know it’s an extra step to get to your homescreen, but if you set a passcode and turn ON the option for your iPhone to erase itself after 10 failed passcode attempts (a simple restore from backup will bring it all back), it will add some extra security. The last thing you want is having some stranger read through your emails, bookmarks, contact lists, and dialing up long distance charges on your iPhone. 2. Bring a paperclip and small zip lock bag: For what you ask? To pop out the SIM tray of course! 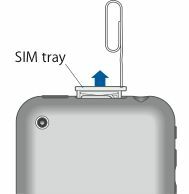 The iPhone’s unique SIM tray can only be opened if you have a paperclip or a similar, thin, pointy tool. I brought along the included SIM card removal tool included with my iPhone 3G. The small sandwich zip lock bag is a very handy place to store your paperclip and Rogers/Fido SIM card. 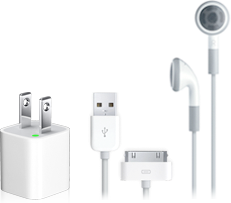 3. iPhone USB cable and charger (and dock): Coupled with a plug converter, the iPhone’s USB cable, charger, and dock will make a handy bedside alarm. 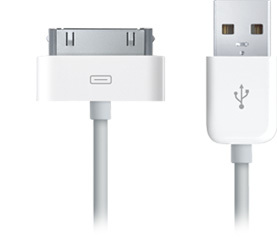 A voltage converter won’t be necessary because both the 2G and 3G chargers are 110-240v compatible. 4. 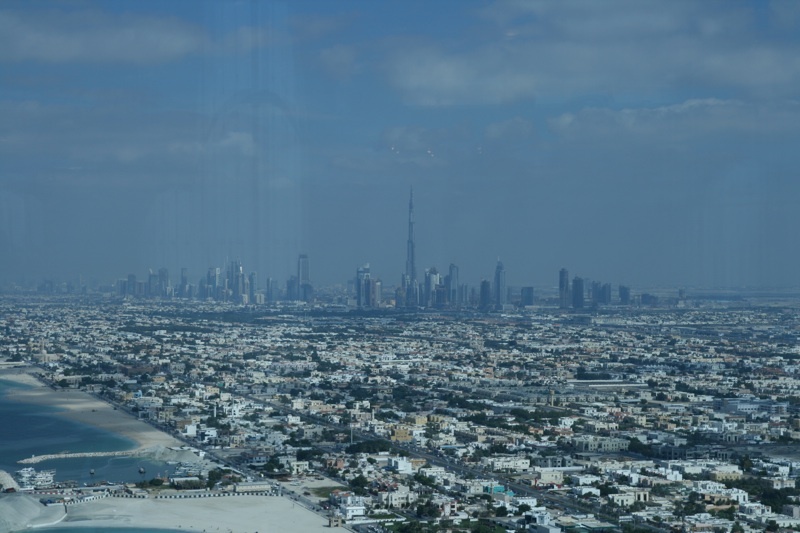 A backup iPhone battery solution: Our journey to Dubai from Vancouver resulted in my iPhone being on standby for over 27 hours. With phone and data usage prior to our departure, mixed in with hours of iPod usage my battery was put to the test. Luckily, I had my Richard Solo 1800 (part of our Top iPhone 3G Accessories Xmas Wishlist) with me to give me some much needed juice near our final destination. 5. Sync your iPhone prior to leaving: The day you leave on your trip, sync your iPhone to your computer one last time. If you run into any problems along your trip and your iPhone has to be restored upon your arrival back home, you can rest assured that you will have a very recent backup. It never hurts to be extra prepared. 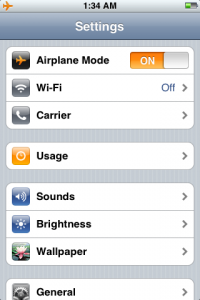 Bonus Tip: If you’re not planning on using your iPhone’s phone feature at all (because your iPhone 3G is still locked at the moment–wait until New Year’s Eve for freedom), turn on Airplane mode during standby to save even more battery life. 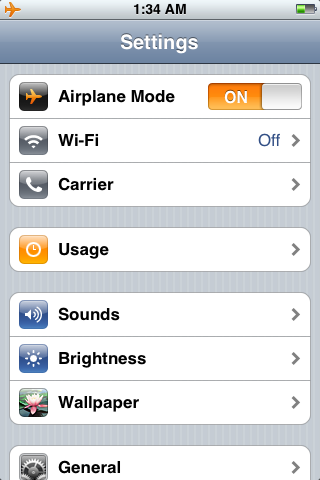 If you need WiFi just turn off Airplane mode and you’ll be good to go. Hopefully these travel tips have come in handy. They have worked wonders for me so far with my iPhone 2G. Can’t wait till New Year’s Eve comes along as the Dev Team will be releasing their iPhone 3G unlock. 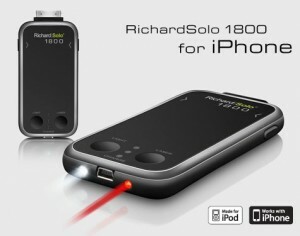 Once that happens, I won’t have to travel with two iPhones anymore! Do you have any iPhone travel tips you’d like to share? Let us know in the comments!